Would you like well-paid job or higher position at work? Do you need English for communication at work? Increase your English vocabulary and learn real business words by listening 1650 English business sentences. If you need English in your job, download this audiobook. Five hours of listening business sentences can help you learn new words and improve your confidence at business meetings or in business generally. Listen how business words are used in sentences. This audiobook is for advanced students who somehow know the grammar up to present perfect tense. Every word is practised at least in five English examples. Each sentence twice. You can repeat sentences and improve your English business communication. Practise words: deal, profit, decision, supplier, reduce, subscriber, promote, purpose, notice, self-employed, research, proposal, lack, estimate, carefully, negotiation, interest rate and other 313 similar business words. Experience fun in business environment. Start listening and improving your English business communication. 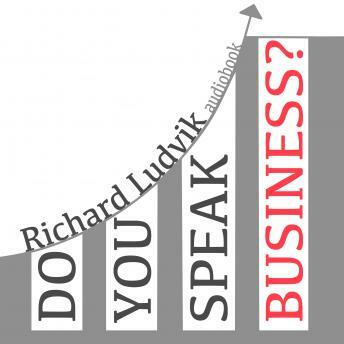 Download Do you speak business? now.